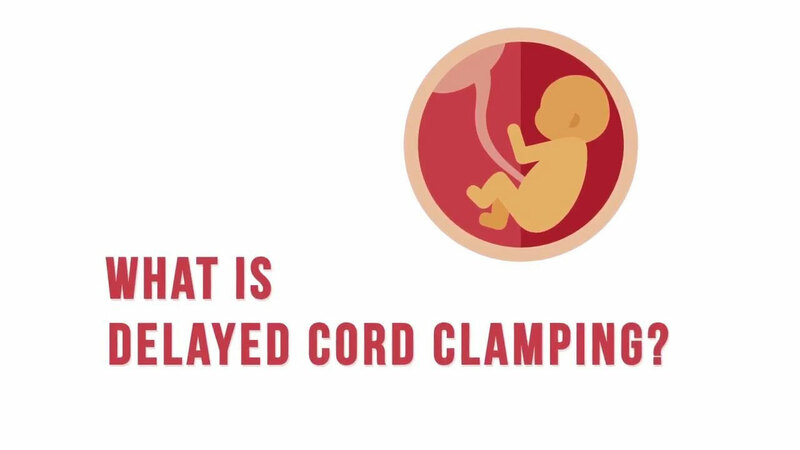 - There's something important you need to know about the moment a baby's umbilical chord is clamped and cut. And that is, at the moment a baby is born, a third of their blood is still outside their body. The blood that's been coursing through them through all of pregnancy is still outside, in the placenta and umbilical chord. And for all of human history, what happened was, the baby would get born and then the chord would start to pulse and it would pop, and it would push blood into the baby. They would get 30% more blood in that next 90 seconds or so. They'd get 60% more red blood cells. They get iron that they needed. They'd get white blood cells to fight infection. They'd get antibodies. They'd get oxygen. They'd get stem cells going through to them. It was powerful, powerful stuff. But what happened in the 20th century, is the medical establishment got the idea that we wanna immediately cut and clamp the chord, locking out all that good stuff, but whisking the baby away to do medical care. It's time for that to change. So, it's not just all of human history this has happened. It's every primate waits until the chord stops pulsating. Every mammal on the planet, there's not a single one, that will sever the umbilical chord before it stops pulsing. So, talk to your provider. Whether it's a physician, or midwife, or doula, whoever's there to help you with the baby. Put it in your birth plan and help spread the word. The campaign is called Ticc Tocc. Transitioning immediate chord clamping, to optimal chord clamping. Spread the word. We can end that this year. There'll be a quarter of a million babies born today, and for most of them, that valuable umbilical chord blood will end up in the trash. Let's never let that happen again. And, by the way, there's still plenty of stem cells left in the placenta and the umbilical chord if you want to do banking.